Depending on you and the time frame you have to be a professional dive educator. We have the Scuba Internship for you to live the dream of working has a Padi Dive Instructor. 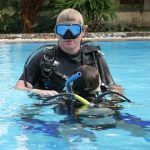 If you are just looking to Take your Padi Instructor Course (Padi AI + Padi OWSI = Padi IDC), Emergency First Response Instructor Course, and 6 Speciality Instructor Courses, then this package is ideally suit for your needs. 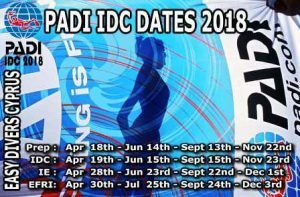 If you are already certified and need only certain parts of the Padi IDC Package, please email me and tell me what you need and I will give you a the better price. 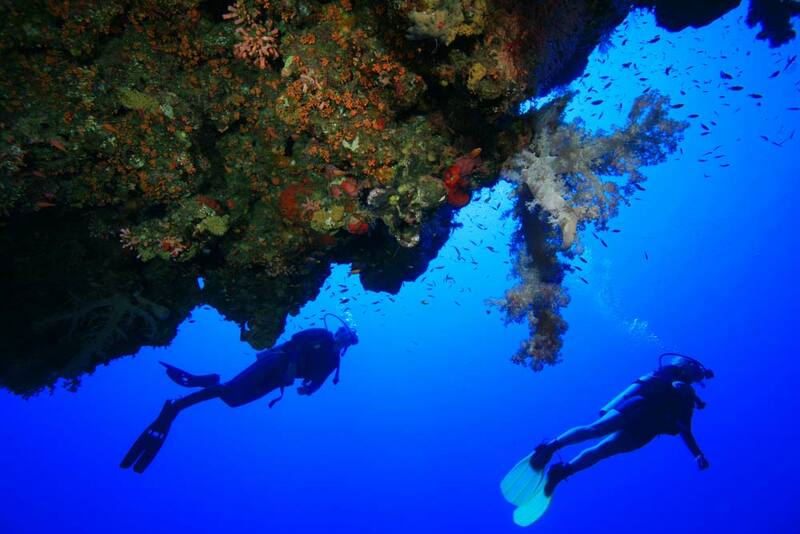 *Not included is your Padi Application/Membership – Medical fee’s, your personal dive equipment, food and drink. 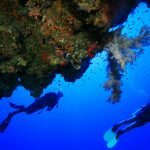 If you are a beginner but have 6 months certified diving experience, you can be accepted to qualify as a PADI Instructor. 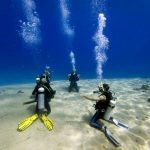 Should you choose to learn with us here at Easy Diver, you will benefit from 5 Star dive centre in Cyprus, superior hands on experience in scuba, ongoing diver training, as well as advice and guidance from PADI professionals. We operate full time live-in Scuba Internships that give you comprehensive training, knowledge of dive theory and information regarding the practical running of a dive schools. Why not turn your recreational diving skills into a way to enhance your life style or career as a professional instructor!? Easy Divers are fully focused on you training and your dive education. Getting involved in the running and routine of the padi diving school operations increases your chances of success in the future, should you choose to work in a dive centre or on liveaboard in the Red Sea, Thailand or Australia. If your aim is to become a professional within the scuba world, if your aim is to have the best training Easy Dive will give you experience, and knowledge of professional secrets! Training and working with Easy Dive will allow you to see exactly how PADI Divemasters operate within a Dive Centre environment, ensuring your future searches for employment within the scuba industry are made easier. Make your life easier when you know how it works, you know where to be and how to react. This will only come with experience and training that you can have when you come to Cyprus for your scuba diving internship. Our Cyprus Dive Centre has outstanding facilities, offering a number of training options with internship programmes lasting from 2 weeks up to 6 months. 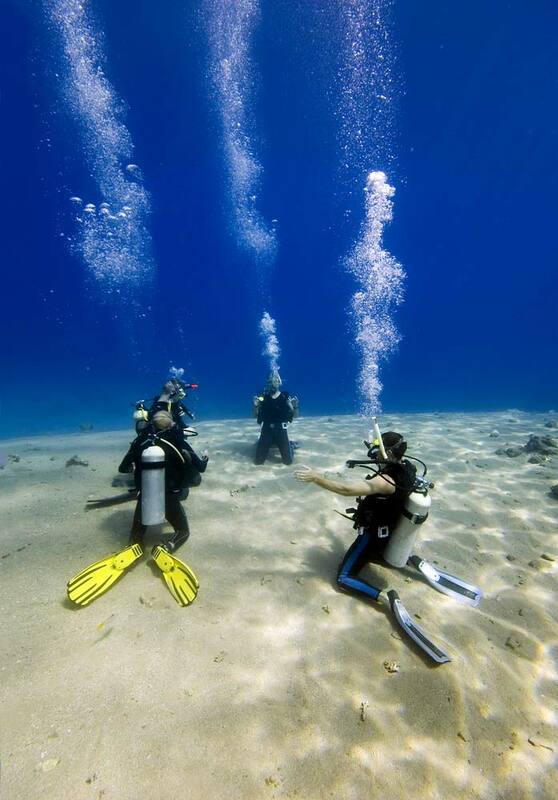 You have a minimum of 100 dives during your instructor training, although there is also an unlimited dive option. This just the minimum number of dives you will make, we are sure you will have lots more. We can provide you with all of your diving equipment, which you keep, as well as the materials and resources to learn all areas of becoming a PADI Instructor. As a PADI Instructor or Open Water Scuba Instructor (OWSI), you will be able to teach others to dive in a safe and enjoyable manner, passing your knowledge on to others who want to learn through training and experience. You will not only be permitted to teach in confined water and open water spaces, but also conduct snorkelling experiences, for those eager to explore the underwater environment and its inhabitants. 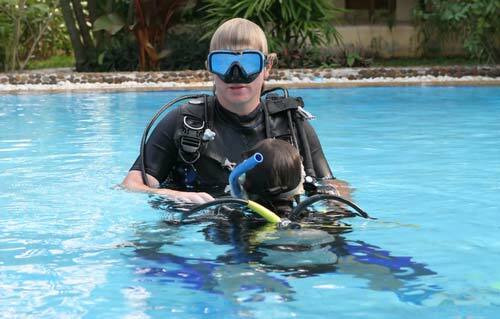 So what are PADI Instructor Internship.